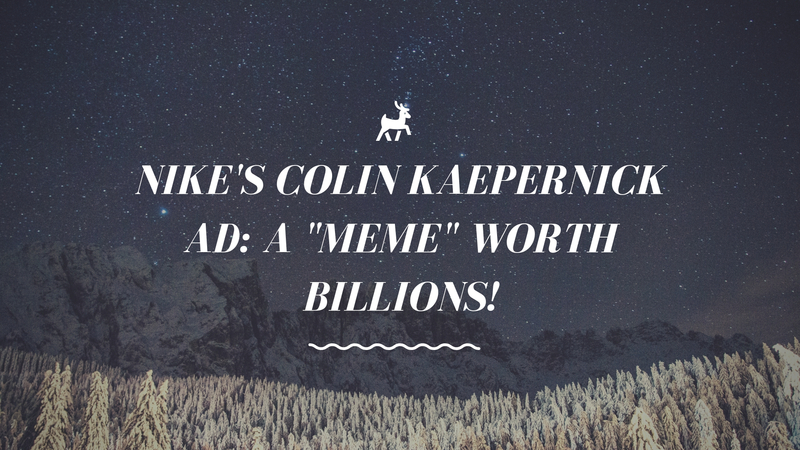 Nike’s Colin Kaepernick AD: A “MEME” worth Billions! This article is written by Hardik Vats, presently working as a content writer with LegalRaasta. Well, it’s safe to say that the past 15 days or so have been quite eventful for major sportswear brand Nike. Unless you are just returning to civilization, you must have heard about an American controversy involving Colin Kaepernick and Nike’s “Believe in something even if it Means Sacrificing everything” advertisement. This comes as apart of the “Just do it” campaign which is under trademark registration rules. Well, say what you will about the ad and how it has been popularized, it seems that Nike has benefitted massively from the advertisement as the sales of Nike’s products are up by almost 61%. Staggering isn’t it the amount of revenue generation a company can achieve with just a simple advertisement? Here’s a tweet from the man himself Colin Kaepernick tweeted from his account on September 4th. An image which made Nike’s Board of Directors extremely happy. Well, it is safe to say that national controversies always stir up a heap of emotions for all of the country’s individuals. In an immediate response to the Ad, many Americans seemed distraught and angry that they took some political stance which was not far away from controversy. Many Americans posted videos and tweeted themselves damaging Nike products that they had already bought. Here is an example of a man burning his Nike shoes in a furnace.